Writing your own wedding vows can really take a wedding ceremony to the next level. Those personalized promises are not only meaningful to you and your spouse-to-be, but to the family and friends there to witness the exchange as well. So, how the heck are you supposed to write something so important? It’s not easy — hey, these are lifelong promises you’re making! — but this checklist will simplify the process and give you some ideas for what to include when writing your wedding vows. 1. Talk to your officiant. If you’re marrying in a house of worship, writing your own vows might be off the table. Certain religions require traditional vows. That said, you can often say the religious vows and your personalized vows, but it’s worth checking ahead of time. 2. Read lots of examples. The good news? You can easily find tons of examples for wedding vows online. While you might not want to copy them word for word, they can be a great starting point for inspiration! Be sure to get your fiancé in on the inspiration, too. Have you ever been to a wedding where one person’s vows are full of jokes, and the other person’s are really heartfelt and serious? It can be a bit awkward if the tone of your vows don’t quite match up. Talk with your fiancé about tone. Do you want to be honest and serious? Will you avoid cliches or embrace them? How do you feel about lighthearted jokes? 4. Find the right format. Some couples’ personalized vows have very little structure, where each person talks about why they love the other, tells a story, or just says what they want to say — which is totally sweet! 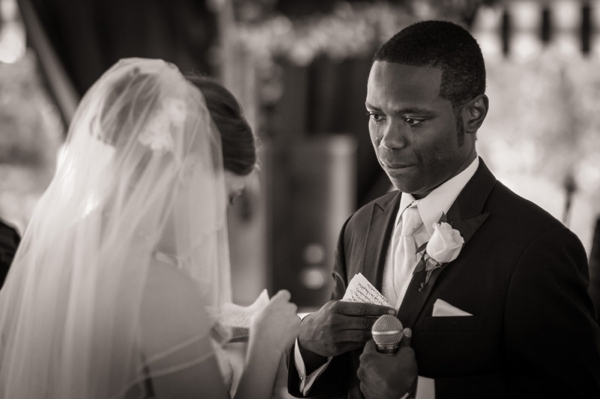 Other couples write vows that follow a specific format, where each person says the same promises. Neither is right or wrong, but it’s important to decide so you and your fiancé are on the same page! 5. Decide how you’ll write the vows. Will you write them together or separately? Do you want to share your vows ahead of time or save them as a surprise on the big day? You’ve got enough to worry about on the wedding day, and there’s no need to add memorizing vows to your plate. You might want to write them in a nice notebook or on a pretty pad of paper. Your vows are sort of a mix between a speech and a casual conversation with your partner. While you don’t want to sound overly rehearsed, running through your vows can’t hurt! As you practice, keep an eye on the time — you want to keep it under two or three minutes (otherwise, people might start zoning out). What to including in your wedding vows. Maybe it’s the story of how you met, when you knew you’d fallen in love, or a tough time your spouse-to-be helped you through. Keep it sweet and real. 2. Say why you love them. What qualities do you admire most in your partner? How do they inspire you? What do they do that makes you smile, laugh, and feel loved? 3. Reflect on how they’ve affected you. Has your love made you more adventurous, more thoughtful, more dedicated? Did you hate cooking, and they changed your ways? Those details show how important your fiancé is to you. 4. Include details about your relationship. Make sure to include plenty of little things that make your love unique. Maybe you and your partner are passionate about exploring new places and have traveled around the world, or maybe you order in pizza together every Wednesday night. No matter how big or small, those details are often the most special. A wedding is the start of your lives together, so focus on what’s in the future. How will you support your partner in tough times? What goals do you have together? Where do you picture yourself in 5, 10, 50 years? Because marriage is the whole point of these vows! What do you hope your marriage will be like? What does marriage mean to you? Don’t forget that the whole point is to make a vow! Whether your vow is to trust them, support their dreams, or bring them breakfast in bed every Sunday, be sure to focus on those promises. 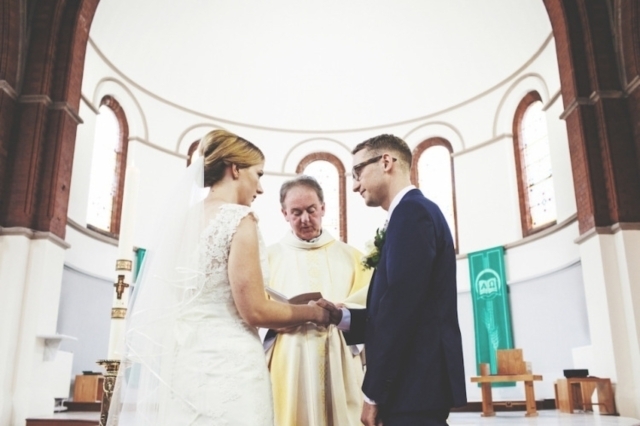 You can include multiple vows, and they can be as broad or specific as you’d like.